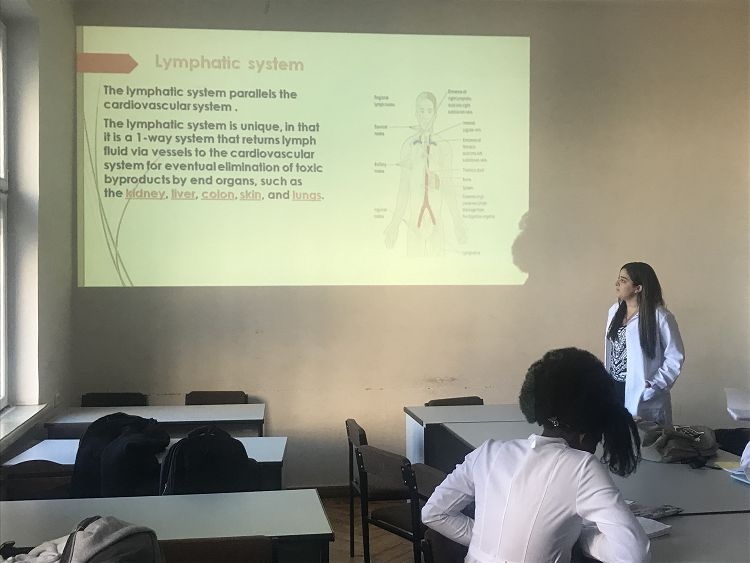 The fourth seminar of human anatomy was held on October 01, 2018 for English speaking students. 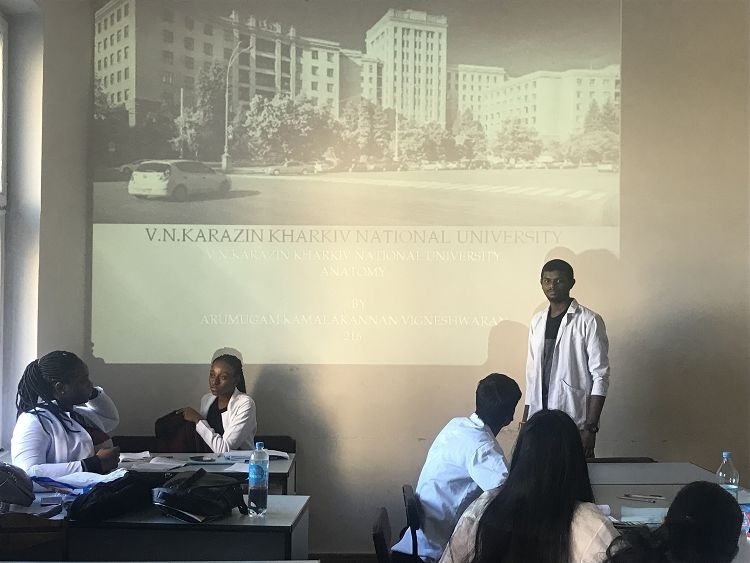 Students of the 2nd year are interested in participating in such forums. 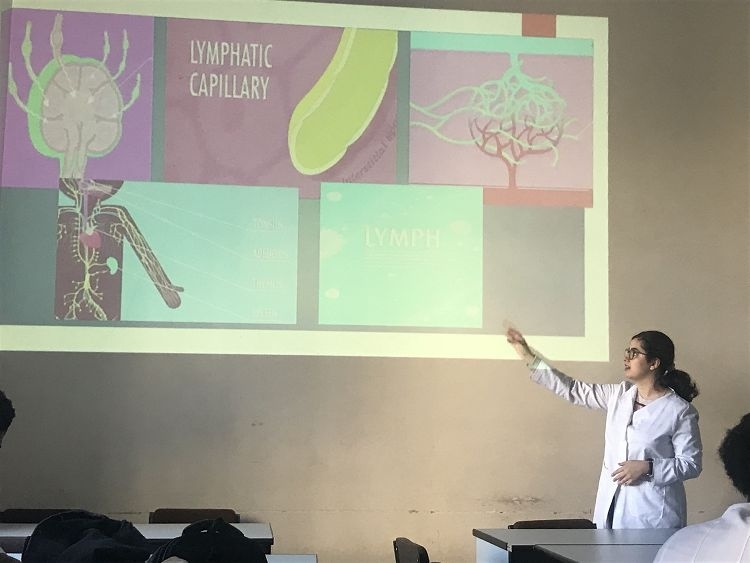 The topics of the seminar's reports concerned the medical problems of the modernity. 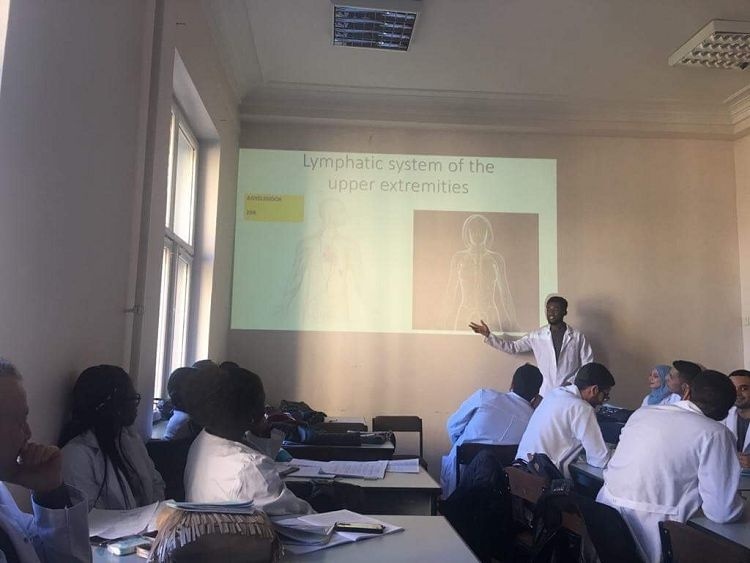 The main topics of the reports were: «Limphatic nodes and collectors, their role in disinfection the human body» speaker:Shirinkami Nahal Yousef (group ВA-210),«Lymphatic system of the upper extremities: basic principles of functioning», speaker: Agyei Enoch (group ВA-204), «Drainage of the lower limb and adjoining part of the trunk», speaker: Baraka Itaf (group ВA-209), «Limphatic river-bed of the inguinal region and lower extremity: features of the structure», speaker: Arumugam Kamalakannan (group ВA-216).